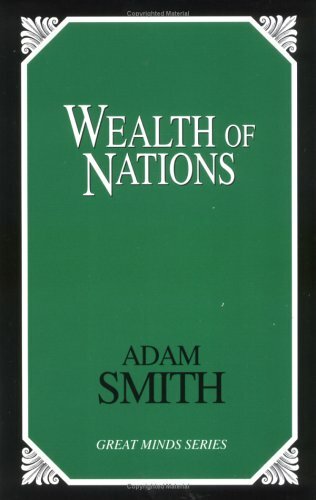 Political economy had been studied long before Adam Smith. But Wealth of Nations (1776) established it for the first time as a separate science. Smith based his arguments on vast historical knowledge, and developed his principles with remarkable clarity. What set this work apart was its statement of the doctrine of natural liberty. Smith believed that "man's self-interest is God's providence" - that if government abstained from interfering with free competition, the invisible hand of capitalism would emerge from the competing claims of individual self-interest. Industrial problems would be resolved and maximum efficiency reached. After more than two centuries, Smith's work still stands as the best statement and defense of the fundamental principles of capitalism.